In the middle of the Aurora zone, a stay at the ICEHOTEL allows you a great chance to experience the Northern Lights. 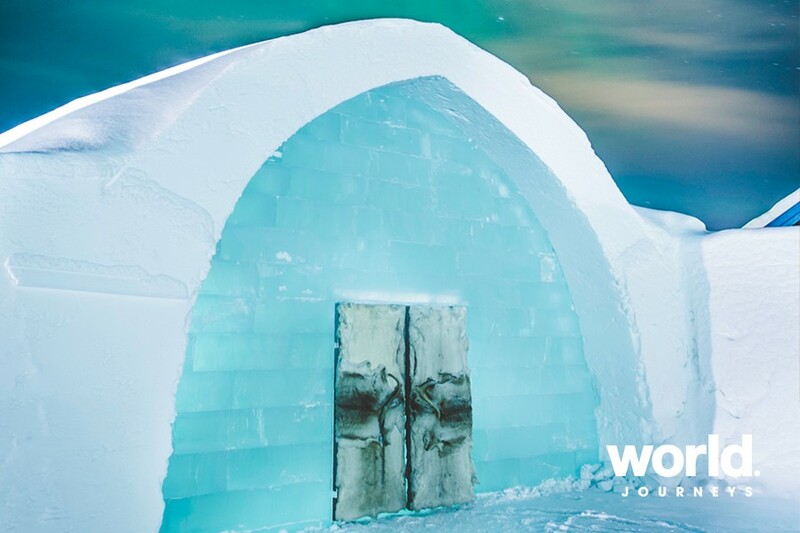 The original ICEHOTEL is located as far as 200km inside the Arctic Circle, in the little village of Jukkasjarvi, and on the banks of Torne River. 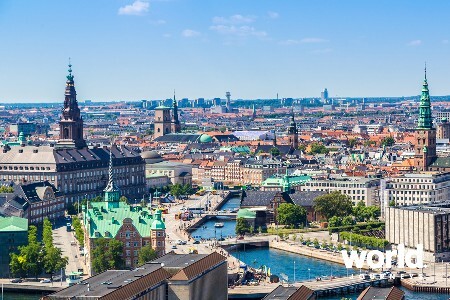 This place has been a crossroads and marketplace for the reindeer herders, the Sami, and fur traders from the south for more than 400 years. Historically, few tourists have visited Jukkasjarvi throughout its long, dark, cold and snowy winters. 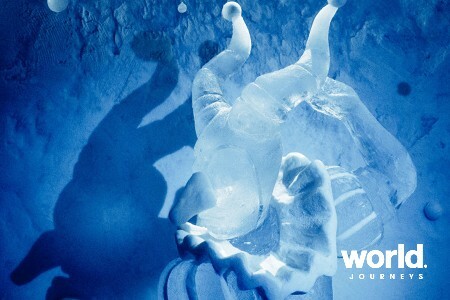 However, in 1989, the ICEHOTEL was created for the first time and it turned the seasons on their head, making the northern winter the peak tourist season. Day 1 - Arrive ICEHOTEL On arrival in Kiruna you will be brought to Jukkasjarvi, and your accommodation at the ICEHOTEL. 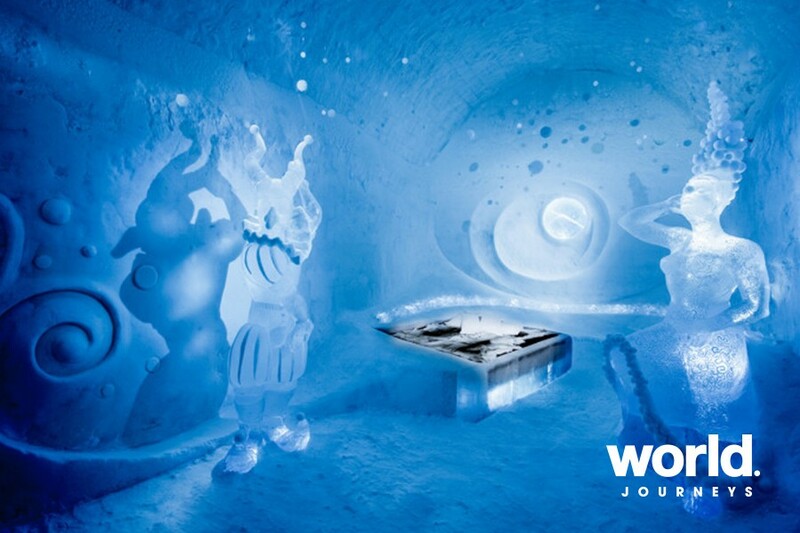 Wander around the ICEHOTEL - check out all the different art suites. Choose between two restaurants - the ICE Restaurant with an "Ice Menu" or the Old Homestead with a more traditional feel. 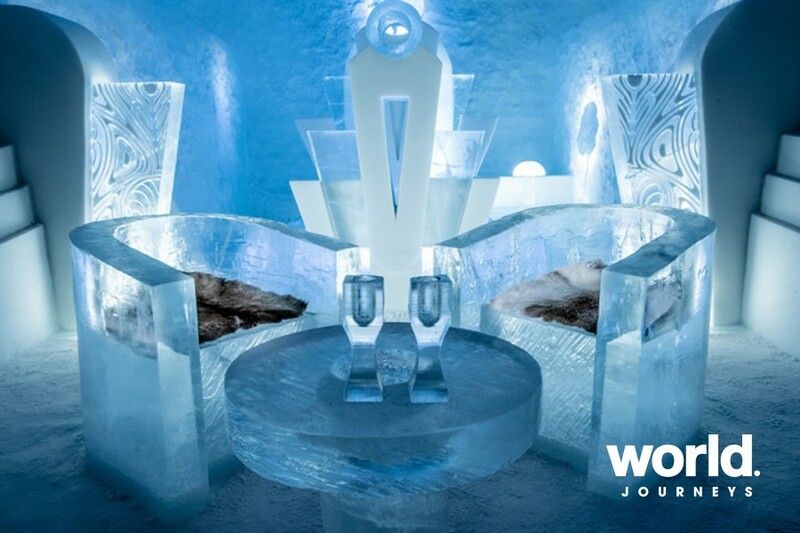 In the evening you can enjoy a drink in the icebar before settling into your snow room at the ICEHOTEL. Inside ICEHOTEL, the temperature is never colder than -5 degrees C to -8 degrees C, regardless of how cold it may be outside. Dress in warm thermal underwear, put on a hat and slip into the cozy sleeping bag. You are awakened in the morning with a cup of hot lingonberry juice at your bedside. Breakfast buffet, guided tour of the hotel, storage locker, WiFi, morning sauna and towels are included in your stay. Day 3 - ICEHOTEL (B) After a sleep in, head off after lunch for an afternoon snowmobile ride. This adventure will give you a perfect opportunity to experience Lapland's magnificent nature in broad daylight. You will be guided across frozen lakes and bogs, through hilly landscapes with views over the river and Kiruna in the far horizon. Traditional Swedish fika by an open fire included. 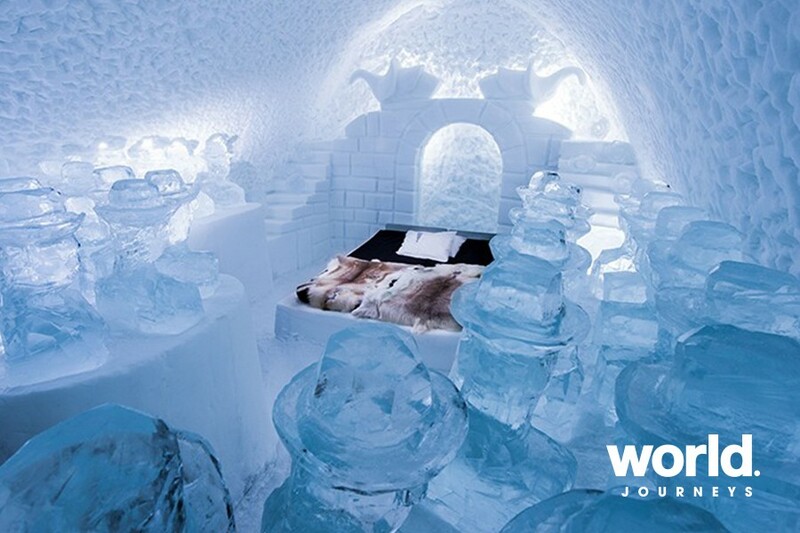 Return for your final night in a warm room at the ICEHOTEL. Day 4 - ICEHOTEL (B) After breakfast transfer to Kiruna for your departure. • Operates from 20 December 2018 - 15 April 2019 • Please note that a supplement may apply over weekends, Christmas, New Years & Valentine's Day. • Activities can be substituted according to the season. Summer activities can include hiking, rafting and fishing. • Enjoy sculptures in your room with an upgrade to an Art Suite or have your own heated relaxation area in a Deluxe Suite at ICEHOTEL.